We conceptualised, and are currently developing, a range of accessories for HarTALK. The left button is for (Focus+) Shoot. With the right button you Switch On the camera. The left button will Shoot. With the right button you Activate the metering system and Focus the lens. The left button will first Focus and then Shoot. The small red light (Led) lights up when the Shoot button is pressed. The length of the RC1 cable is 1.5 meters (4.9 feet). We also include, in the RC1 package, an extension cable that connects with the RC1 unit via a barrel connector. This extension cable adds another 3 meters (9.8 feet) to your RC1's reach, giving you a total reach of 4.5 meters (14.8 feet) between your camera and your remote control. Since HarTALK facilitates safe inter connectivity of electronics to your camera's processor, this unit is as safe as it is cost effective and functional. Those that want to extend the reach of the RC1 unit even further, can have any standard piece of UTP CAT5 cable made up by any It cabling company (and even have it installed/fixed in trunking in the studio if needed). The maximum tested distance of cable between RC1 and HarTALK is 30.5 meters (100 feet). You would then use the longer fly lead to replace the 3 meter (9.8 feet) extension cable included with the RC1 unit, and use the barrel connector to connect your RC1 unit to your extended fly lead. 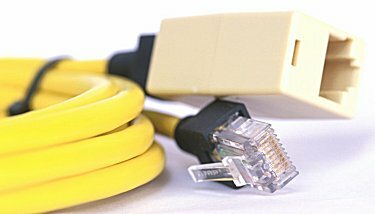 Since this type of cable is the most inexpensive Data cable on the market, this should not cost you an arm and a leg (and, if so, ask for another vendor to quote). 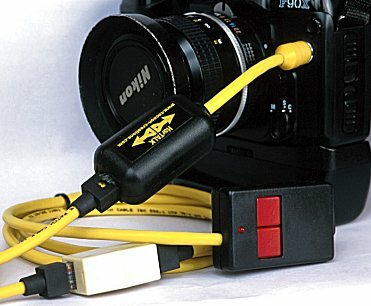 This is the inexpensive serial cable that connects your Nikon, via HarTALK to an Apple MAC. This cable connects the PalmPilot easily and effectively, with minimum wire/cable/converters, to HarTALK. The recommended software needed to support the Nikon-PalmPilot connection is not a COCOON product, but rather, that of an external party: Ken Hancock.